We would like to introduce our very talented and promising Author, Michael S. Fields, whose Fantasy novel was a pure joy to read. The opening paragraphs made me laugh with delight, as the author’s cheeky and clever character descriptions conjured the imagery to life and captivated my attention, ever urging me on to continue reading page after page. The work encompasses all the elements of life we sometimes all ponder over, and Spirits of the Darkness is a fictional tale with a sole purpose of expanding the reader’s imagination about life itself. What is beyond the air that we breathe? What happens with life after death? What if other dimensions actually exist? 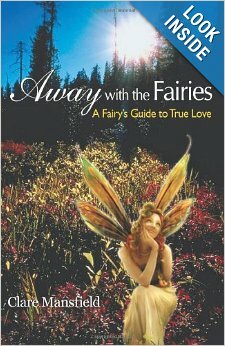 This story is about a journey to discover life’s secrets, and how we can take life for granted. Spirit of the Darkness is an exciting tale that will bewitch both young and old reading audiences, and it would certainly make a most exciting movie filled with adventure and excitement, and serve as a visual feast to the eyes, as we get to visit the mysterious and awe-inspiring locations in our mind’s eye this well written, entertaining story takes us to. As the story goes…after receiving a digital recorder from his mother, nine-year-old Sinclair can finally talk to ghosts. However, his situation gets worse when dark spirits watch him in his sleep, waiting to take his soul. His only hope is to go into South America with renown archaeologist Lance Cobblestone and find the legendary cetra: a fabled treasure that is said to be the key to unlocking the spirit world. His journey takes him to worlds unknown, places that can change a man, and acquiring the cetra means great danger to everyone around him. A terrible burden weighs upon him and something mysterious awaits him in his quest to unravel the secrets of life. Michael S. Fields’ wonderful warm smile radiates, exudes and reflects the very passion and love he has for his writing, and writing it well. 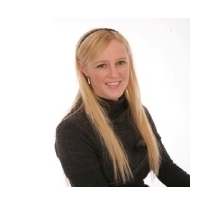 The Author was born and raised in Michigan in 1978. He wrote many stories since childhood, one of which called “The Armageddon Season” which debuted in a Philadelphia magazine called “Short Stories and Poetry Forum Press”. It became the magazine’s feature story and received many accolades from readers and critics alike. The story centered around a group of boys trying to make it home during a violent winter storm as they battle bullies along the way. Michael comes from a talented family, whose father and Author in his own right, Scott C. Fields is also a very talented and prolific Author of multi-published works. Michael’s grand-mother instilled that literary prowess in Michael’s own father, and his father instilled it in him. So the talent runs through their genes, and is in their blood. It is clear that some of us are born to read, and others are simply born to write the stories. 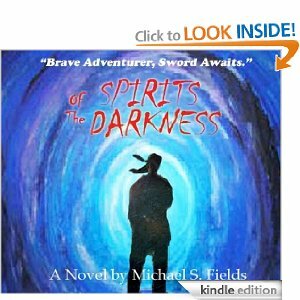 “Spirits of the Darkness” is Michael S. Fields’ first novel to get published at this time in his life. The book chronicles the life of Syn and the exploration of life and death. Question: What other works are you currently planning/working on Michael? I can’t wait to read your next novels. Michael: Thank you, Emma! I’m working on two actually! It’s hard since busy with work and trying to promote this one. I’m working on the sequel: “Ghost of the Medallion” and also a new novel called “Corporate Hordes”, which is about the working class and also a love story. I’m also working on a short story for the book contest called “Beyond Hostile World”. I hope to have at least one done before the end of the year! At least with this book out, I can really start working on getting them done and get all the promotions out of the way at the same time! Thanks again, Emma! You’re awesome!